And what does that word mean? Why it means friendly to strangers. The opposite of a xenophobe. And how does this fit into the theme. Well, let me tell you. Let me make it up first and then tell you. Sit down, have a cup of tea - sure I don't know you but I do want you to feel at home here. I am totally friendly to strangers. It embarrasses my kids - or it used to. I will talk to anyone wherever I may be. I want them to feel good. I love lost people in a place I live in. I'll walk with them for miles. And how does this aid me? As an artist, a writer, it is great to be friendly. People tell you stories. They open up in surprise - you wouldn't believe what they say. As a photographer they will tell me the best spots to go to take good shots or they'll let me take photos of them. As a fibre artist they will let me know where to get the best wool, cloth, etc...they'll share resources. Plus - that quality of being friendly to strangers be-spokes confidence, lack of fear, adventurousness. And don't get me wrong - I am not shy but I am an introvert. I get my energy being alone for big chunks of time. Being friendly doesn't mean being excessively chatty or fawning or crazy - it just means what it says - I will be open to new experiences including people I don't know. I'm writing poems and novels, not electrical engineering books - people's emotions, perceptions, experiences are of extreme interest to me. 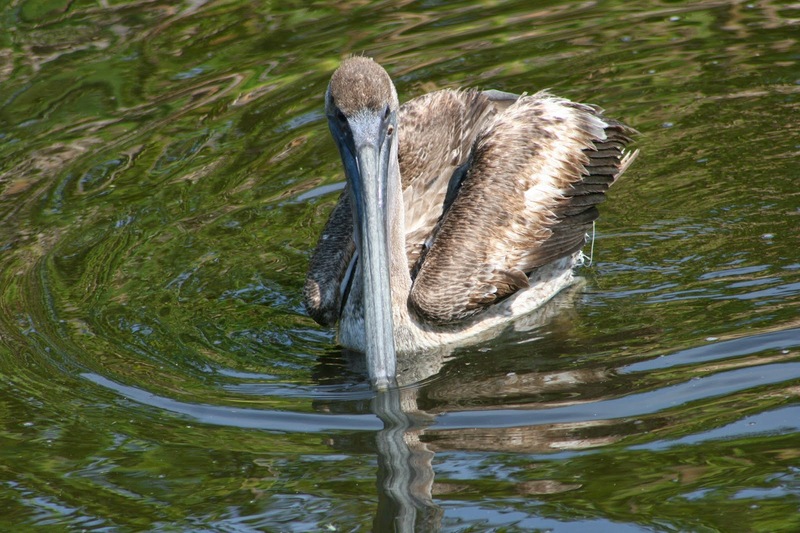 Jan - Pelicans are great! And I love that 'photo. The thing about strangers is that each of our friends was once a stranger. Even our partners/spouses were, too. You never know where 'Hello' might take you. My husband is friendly like that, talking to strangers. I'm more reserved. I love pelicans. Do you know the limerick by Edward Lear? But I don't know how in the hell he can. This one looks like a young one, he/she doesn't have a white head yet.